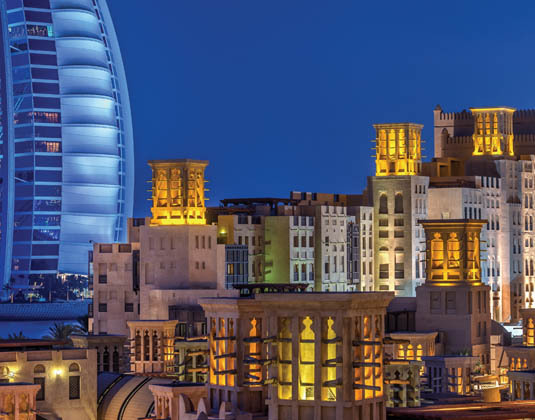 Comprised of three grand hotels, 29 summerhouses and seven royal villas built as a magnificent tribute to Dubai's heritage. 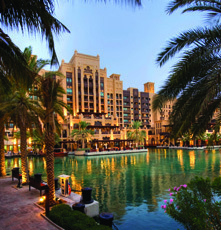 Madinat Jumeirah is a unique city of contrasts, where traditional elegance meets modern luxury. 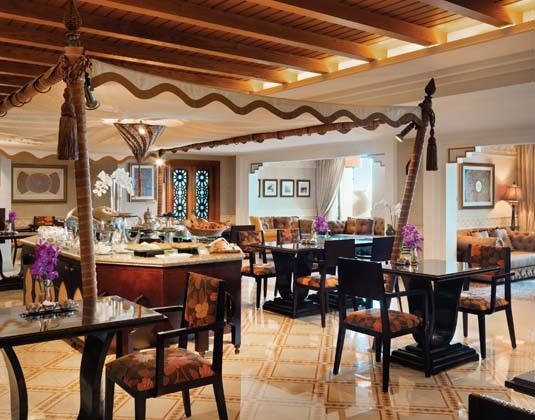 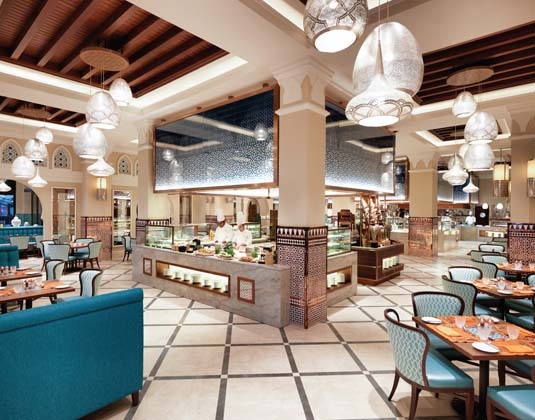 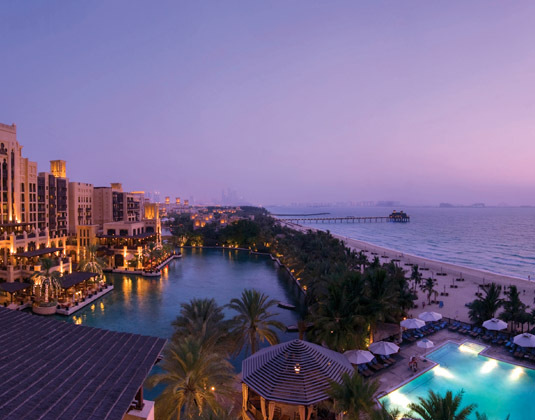 Abras meander across waterways, a private stretch of beach offers uninterrupted Arabian Gulf views, and over 50 world-class restaurants, bars and nightlife venues offer excitement for every palate. 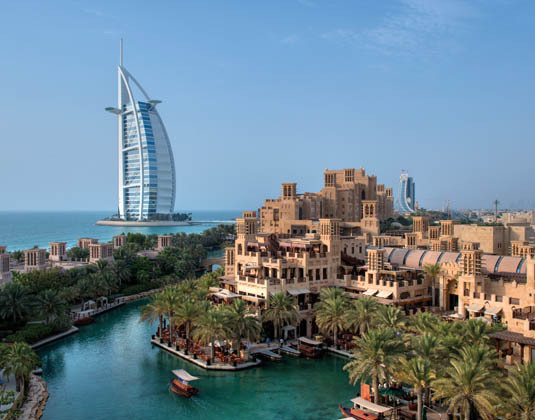 The unrivalled leisure facilities include 75 boutique shops at the souk Madinat Jumeirah, an award-winning spa, as well as the adjacent Wild Wadi Waterpark™. 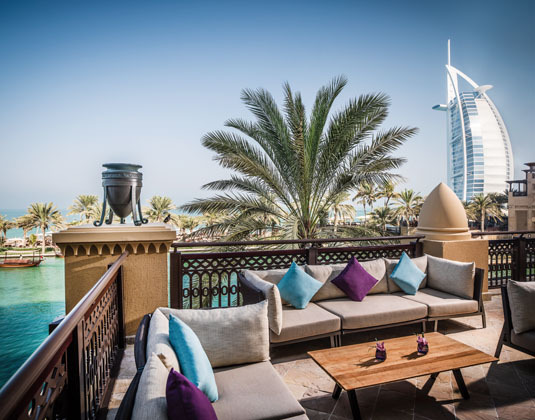 Meaning 'Harbour of Peace', this charming hotel has recently been refurbished and forms the gateway to Madinat Jumeirah. 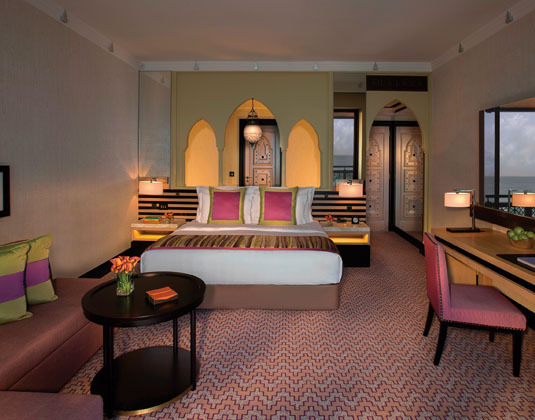 In Arabian deluxe rooms, which are a delightful mix of antique furnishing, dark wood and bright colours, with air conditioning, bath and separate shower, safe and balcony. 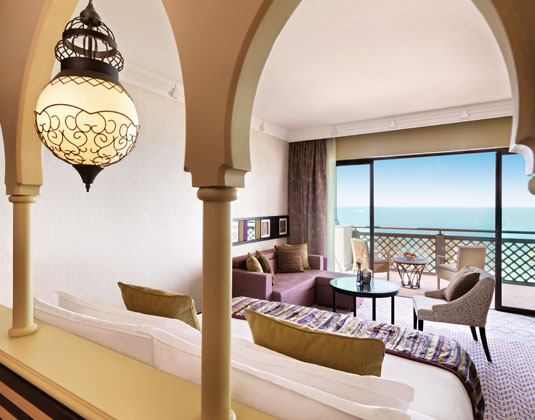 Ocean deluxe balcony rooms which have uninterrupted ocean views, premium leisure rooms which are ideal for families and club executive rooms for adults, both of which include access to the Club Lounge.